This is it, an end lot with an amazing house and garage! 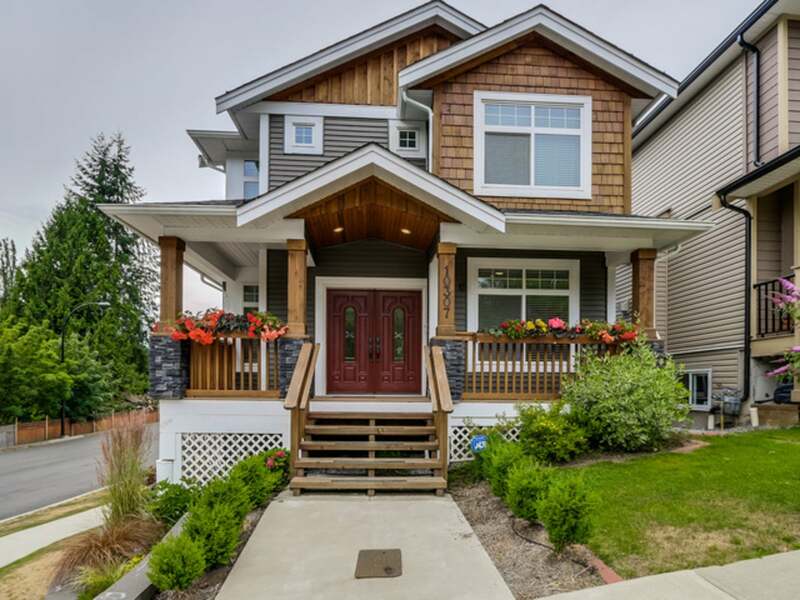 This 5 bed, 4 bath home was built with high quality finishes. The gourmet kitchen features maple cabinets, granite counter tops, tiled backsplash, and quality appliances, including a gas range. Extensive use of moldings throughout featuring intricate cove moldings on the main floor. Master bedroom has large walk-in closet and jetted soaker tub. High quality washer and dryer are located upstairs for easy access. Basement is fully finished and could be a 2 bedroom suite with a separate entrance. Large deck off the kitchen comes with a natural gas connection and the BBQ. Balance of the home warranty. Too many features to list, must be seen!